If you can dream it, submit it. Incisal Edge contest awaits. If you’re a nontraditional designer with unique perspectives, a solution-driven architect with imagination to spare, or a dental professional with a passion for improving the patient experience, then Clarion Financial offers 5,000 reasons why you should keep reading. Dentists, dental students, architects and interior designers might be a few minutes away from earning a $5,000 prize and appearing in a national magazine as part of the 3nd annual Incisal Edge Design Contest sponsored by Clarion Financial. Incisal Edge, the leading lifestyle magazine for dental professionals, offers a Design of the Future category that invites contest participants to create an imaginative setting for the patients and practitioners of tomorrow. Improvement, innovation and inspiration with no boundaries – if you can dream it, submit it. The reward: a $5,000 grand prize. In three additional categories (specialty, new construction and repurposed practice), the contest will recognize dentists who achieved new heights of creativity and functionality when designing their current office. Winners in each category will receive a professional photo session for their practice and a profile in the Incisal Edge Winter issue. 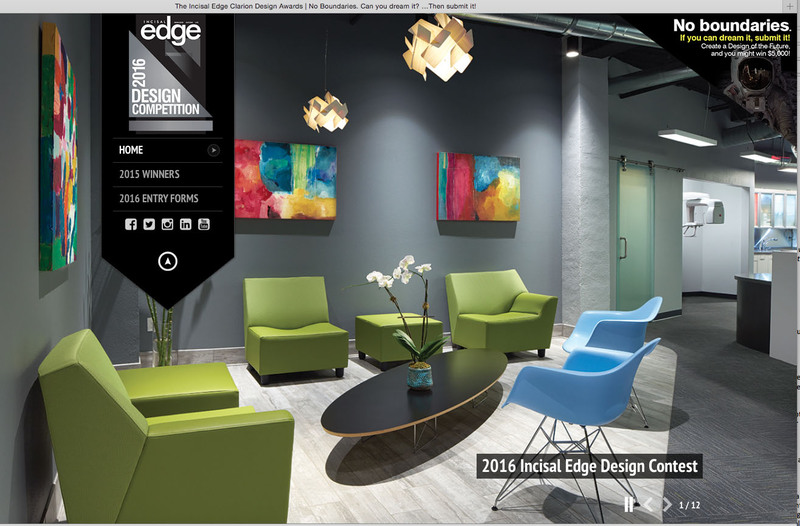 New for 2016: An entry point designed for ease of use, where previous year’s winners provide motivation, and detailed instructions offer helpful tips – IEDesignContest.com . A juried panel from the dental and architectural worlds will select America’s most striking practices. Entries will be accepted for existing practices through September 4 and for the Design of the Future category through September 25, 2015. Prior to final awards, three semifinalists selected by judges in the Design of the Future category will be paired with a team of design professionals who will help give visual life to their ideas. ¿Cómo se dice “healthy teeth”? Ask America’s ToothFairy.